All text and photographs by, and copyright of, the Author unless otherwise stated. 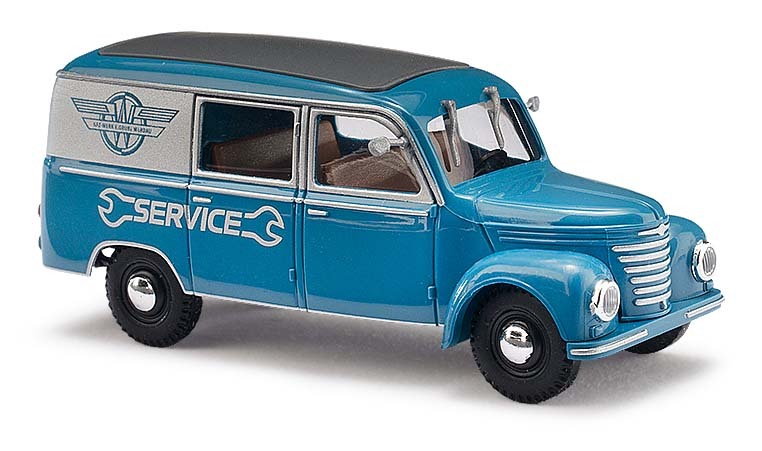 Here are a selection of models released in the last two months of 2018 and some from early 2019. 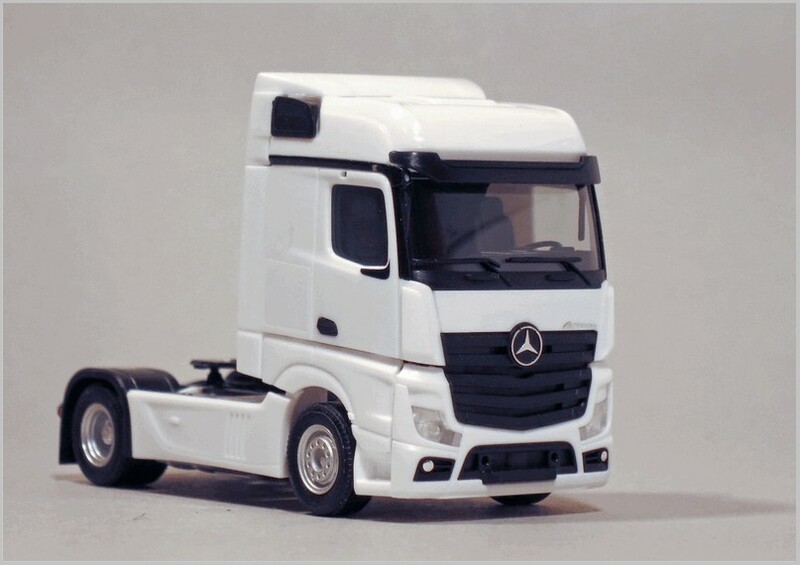 These models are to 1:87 scale made in Europe for Germany. 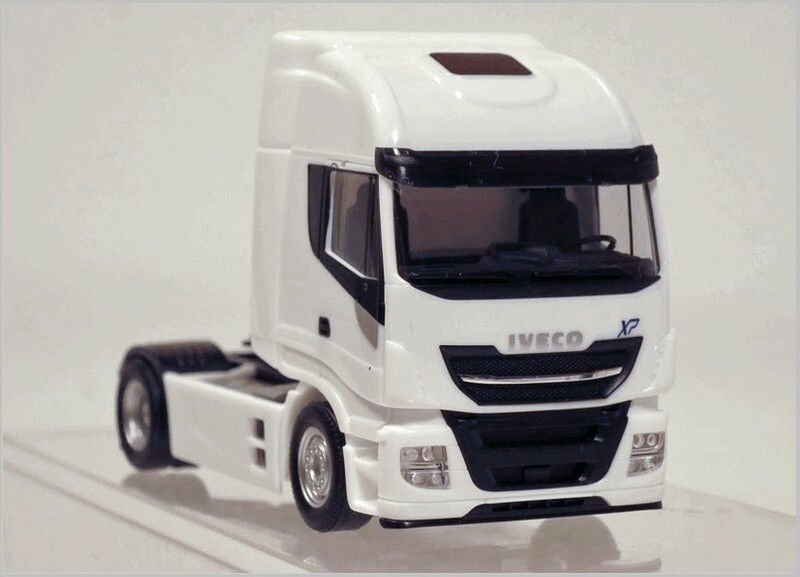 The brand-new Stralis is now introduced into the Herpa range to complement the launch of the latest version of the truck. It has been moulded in white, blue or red. 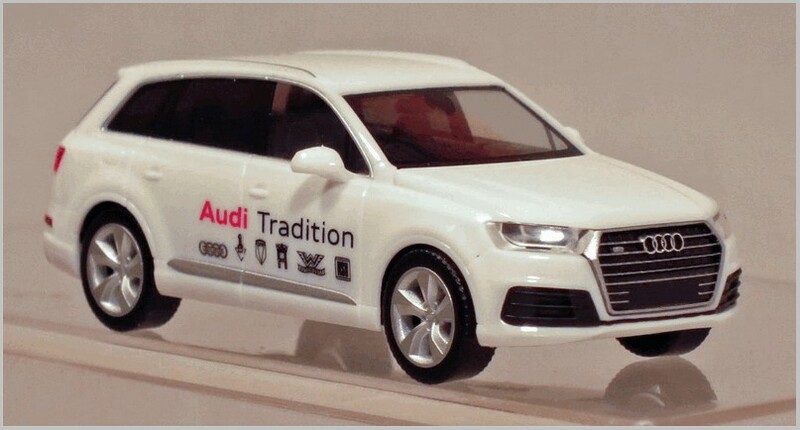 The department Audi Mobile Tradition responsible for the Audi Museum runs two of the latest Audi Q7 SUV’s to transport classic vehicles pulling a closed trailer. These are often see moving cars from the Audi museum to events. 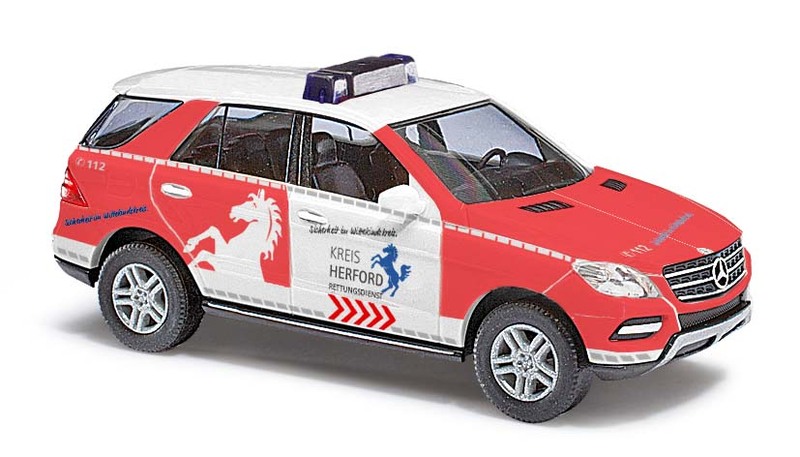 Here the model is finished in the company livery. 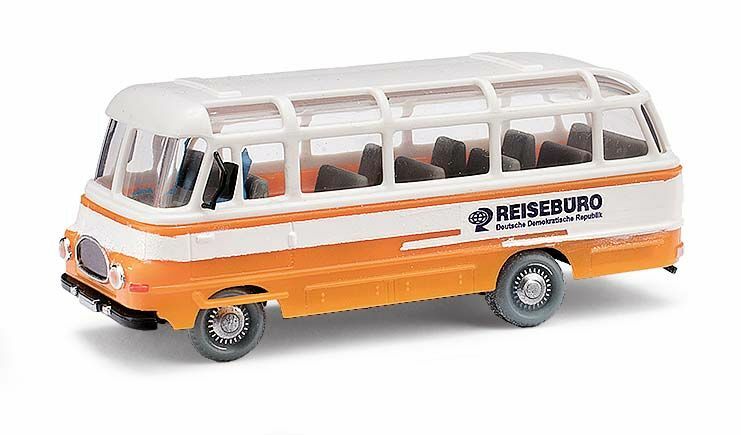 The National People´s Army of the former German Democratic Republic used this type of vehicle as a command vehicle. 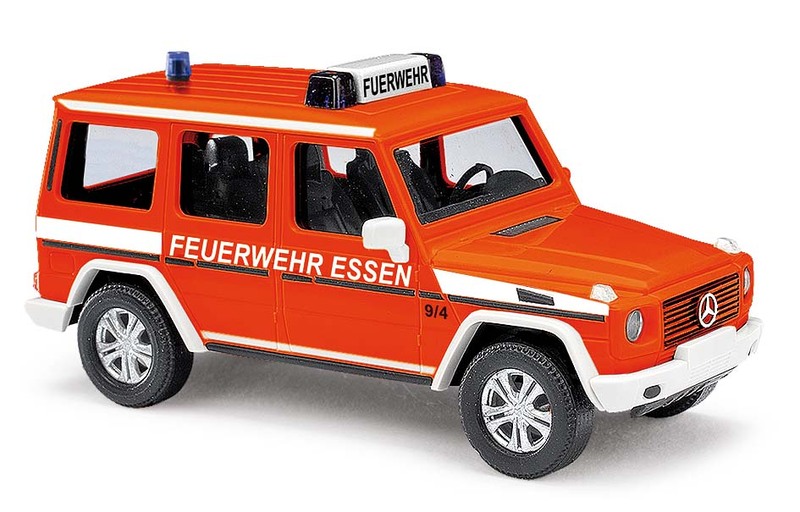 The model is authentically equipped with two different coloured beacon lights and a loudspeaker. 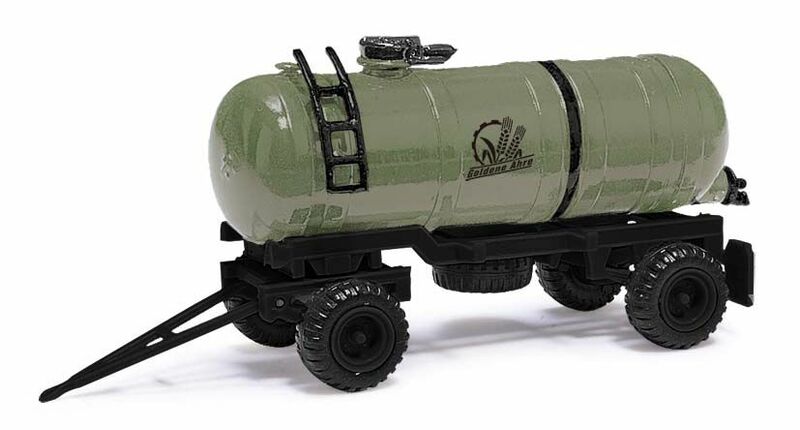 Herpa once again releases a fuel tanker as a limited edition. 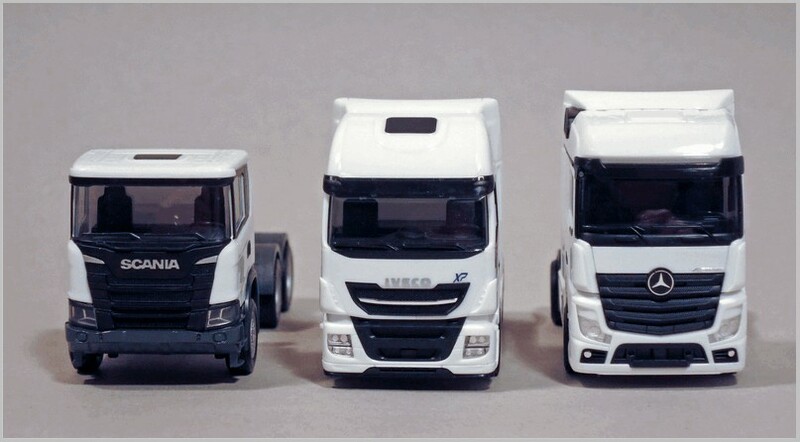 Esso, formerly known by its slogan “Put the tiger in your tank!” is the fuel provider who forms the basis for this model of the MAN TGX with a tanker trailer liveried in the current company livery. 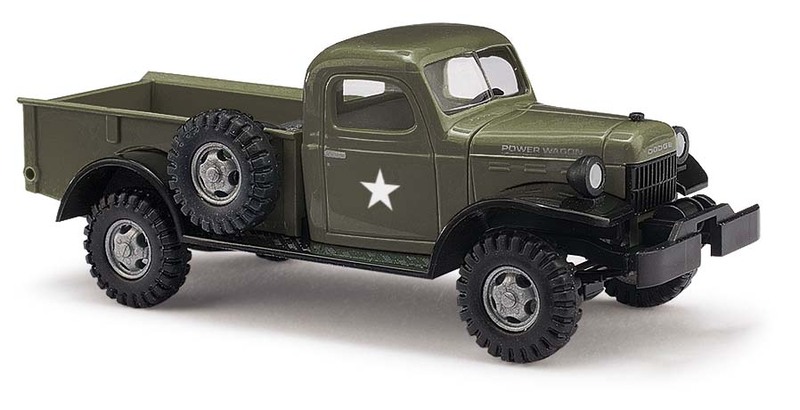 How truck design has changed over the last 65 years! 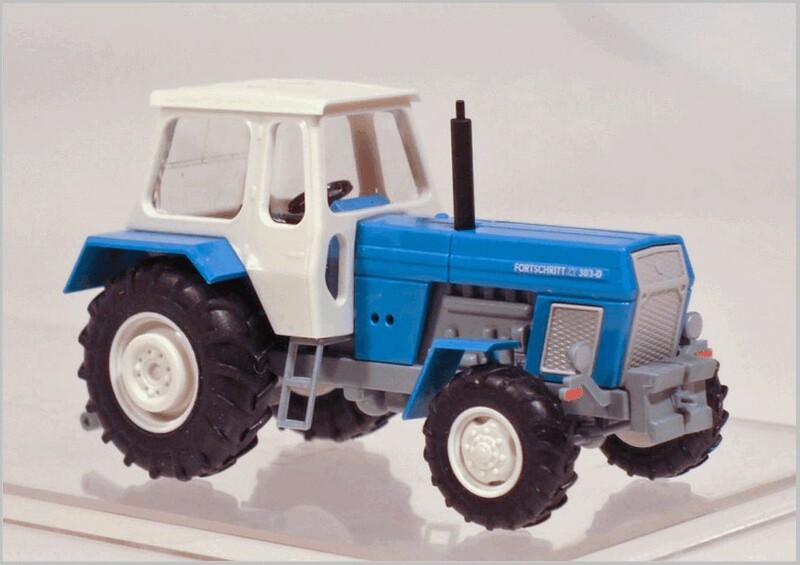 At the beginning of the 1950s Henschel, based in Kassel, launched their ‘big’ articulated tractor HS 190 S with bi-motors. Wiking released the then huge articulated tanker with and Ellinghaus trailer in 1953 and kept it in their catalogue until 1958. 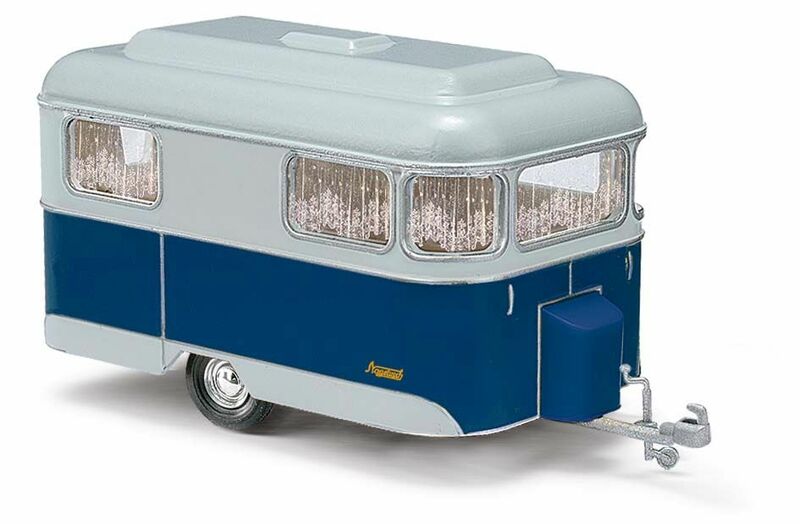 The rounded design changed into a squared one early in the 1960s, developed by the famous noted Louis L. Lepoix. 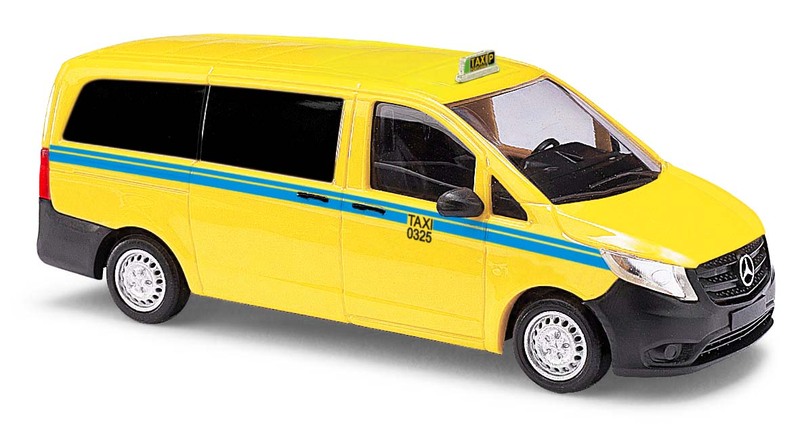 Today cabs are more rounded again, shaped using tests in a wind tunnel. The Esso Livery has changed too with the livery in red and white on white rather than on solid red. 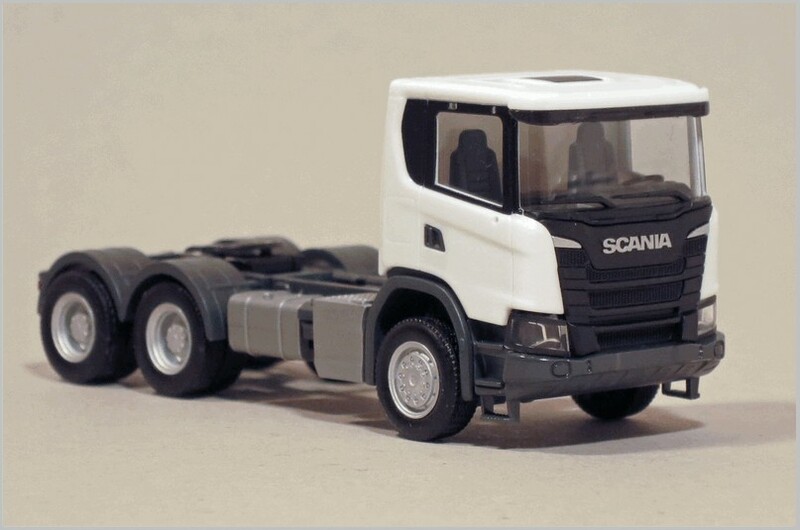 This tractor unit to pull articulated trailers has been released in white and red. 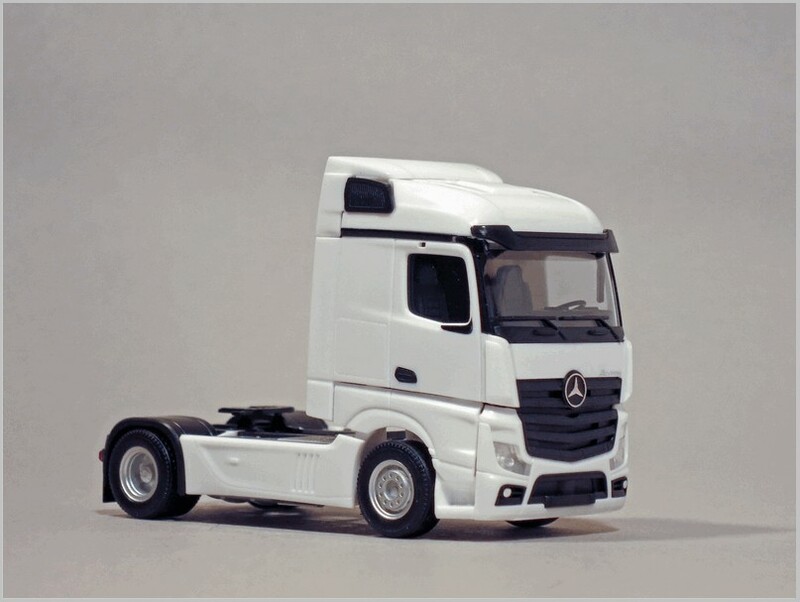 The tractor unit has been released in white and black to pull articulated trailers. 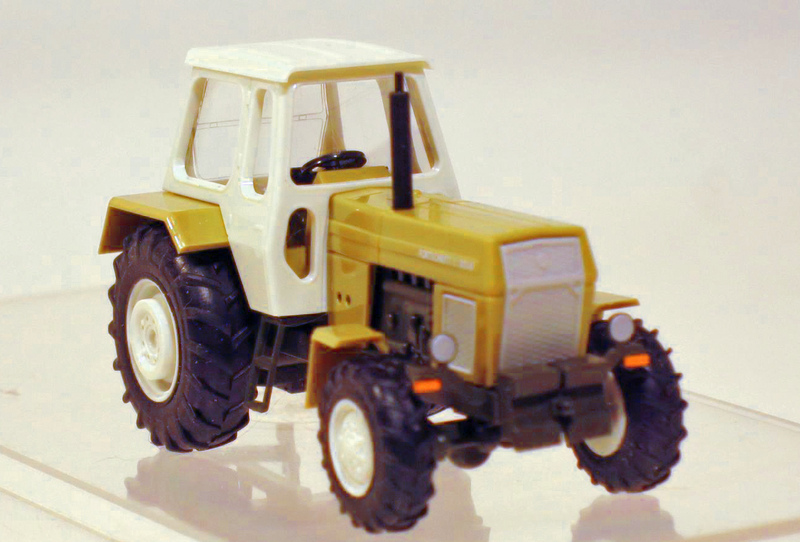 This tractor unit has been released in white and yellow. 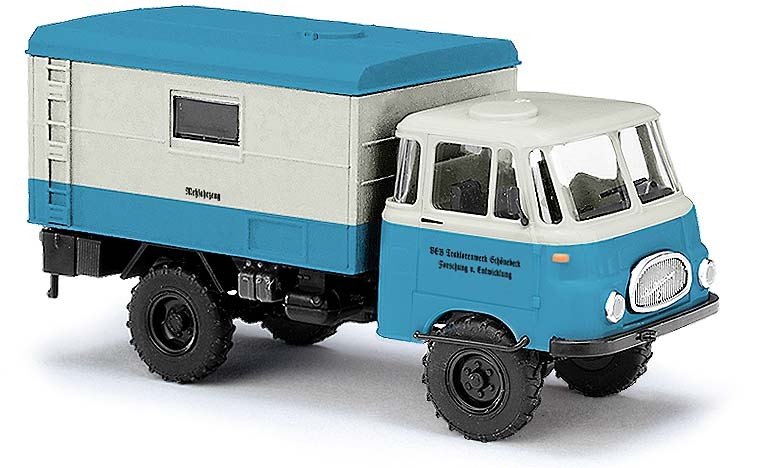 Handpicked “people´s own” companies could get the IFA G5 in a civil version. 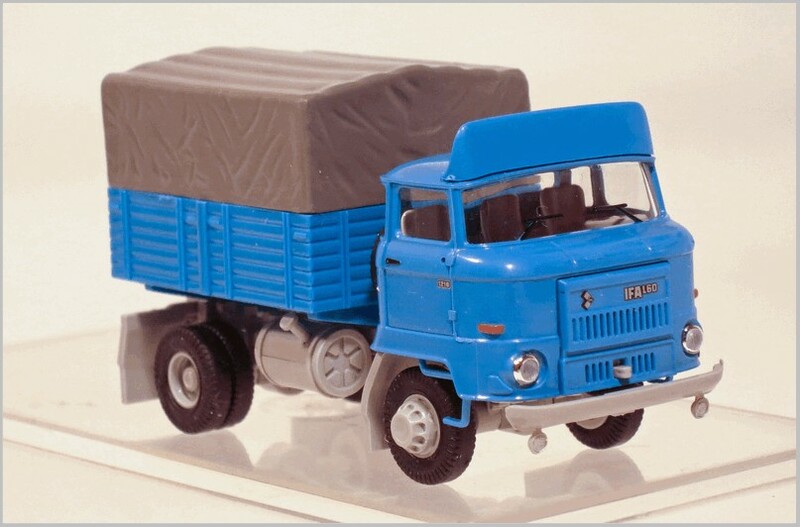 Here Herpa releases a delivery truck of the VEB coal merchandising firm. 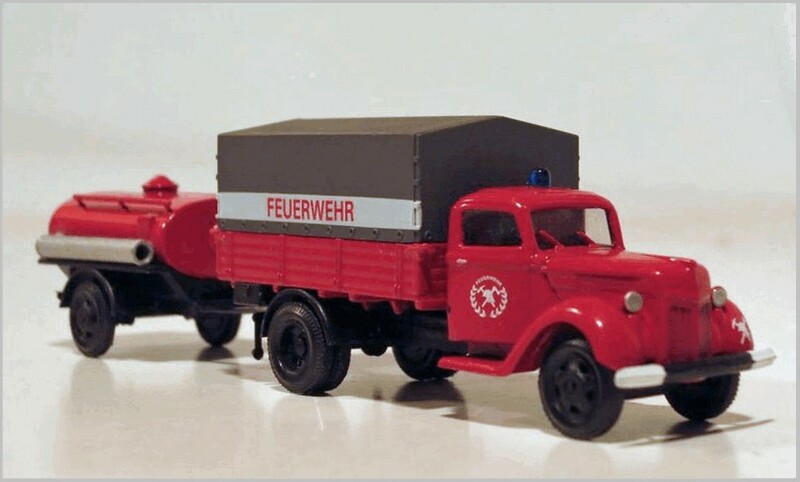 In the DDR most of the coal available was brown coal (Lignite) which burned with a distinctive odour which was cast over the whole DDR. 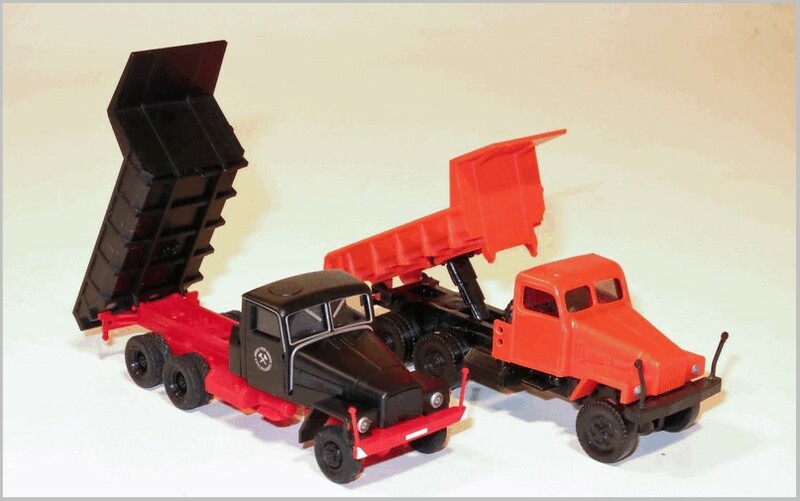 The latest IFA G5 compared to an earlier release of the model which though plainer in finish has the ram to raise the tipper modelled. 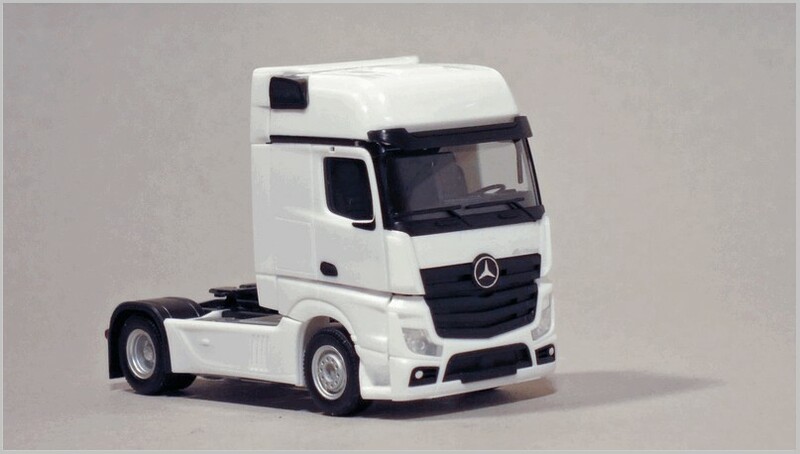 The new tractor unit has been released in white and red. Unimaginative Design or diktat of the wind tunnel ? 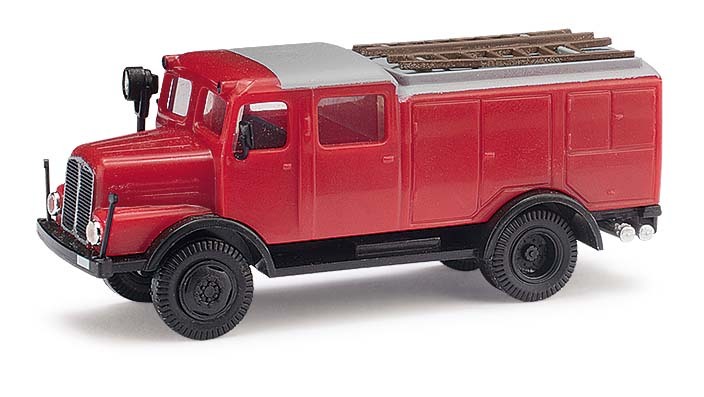 Placing the model trucks side by side, there is a strong and rather boring resemblance. 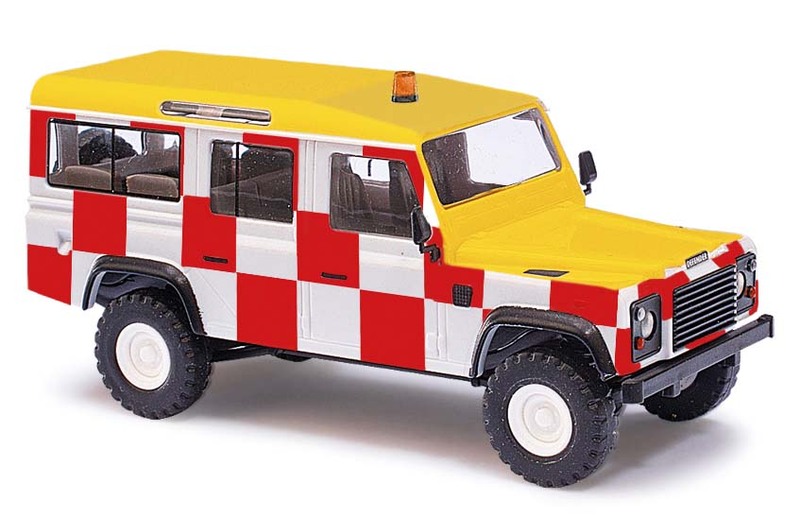 In particular the cab units all look very similar with only the grilles showing any real difference. The wind tunnel may be responsible for the body shape, but why do the design of the lower areas below the windscreen looks so similar? That is an unanswered question. 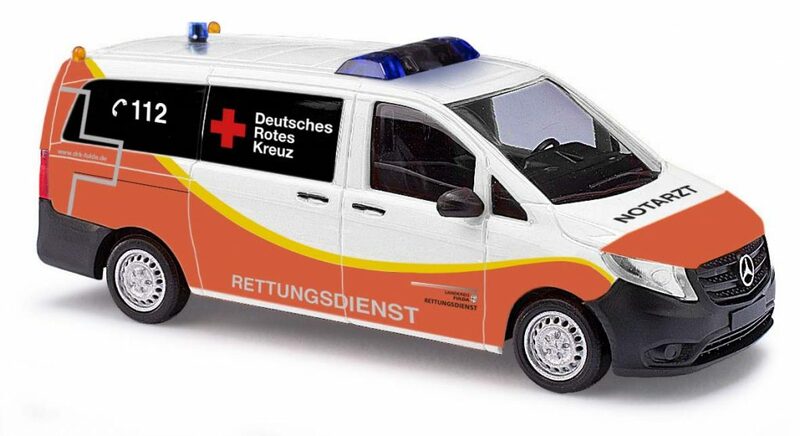 For all older German men, who have served their army time in the German Bundeswehr, the latest Bundeswehr staff cars are looking strange. 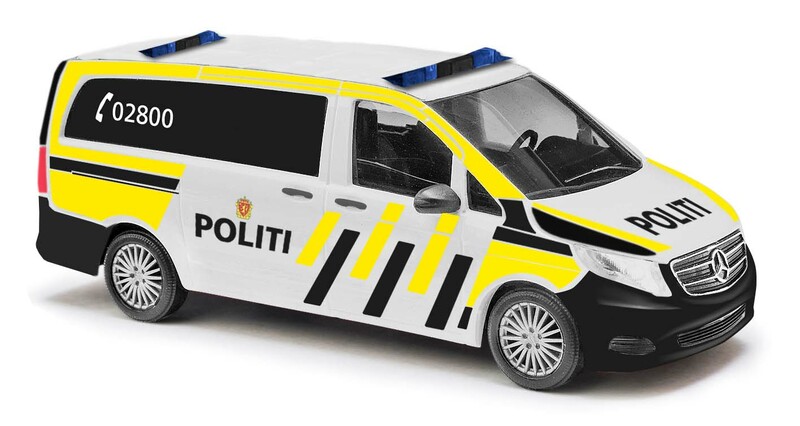 The familiar matt green “NATO olive” colour which used to be used on all vehicles is gone in many cases. 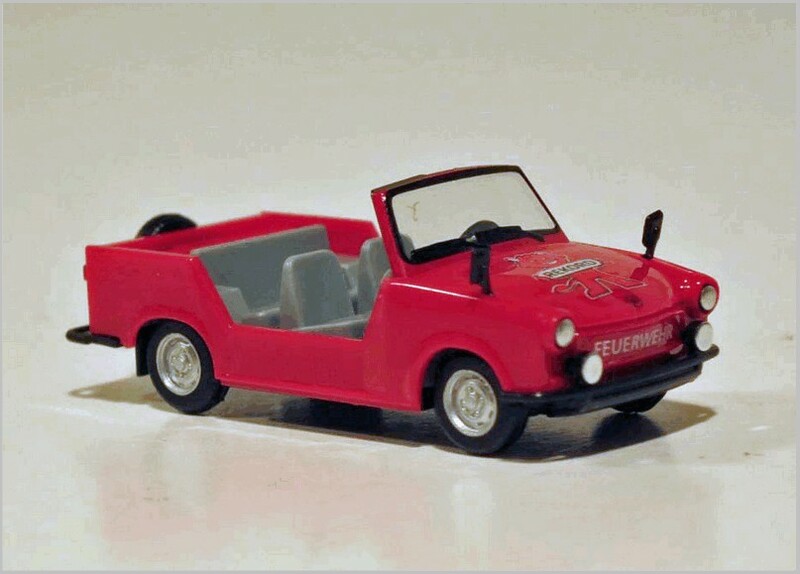 Today most vehicles used day to day are leased and are ordered in normal body colours, so that resale value at the end of the lease is improved. We welcome your comments and questions. 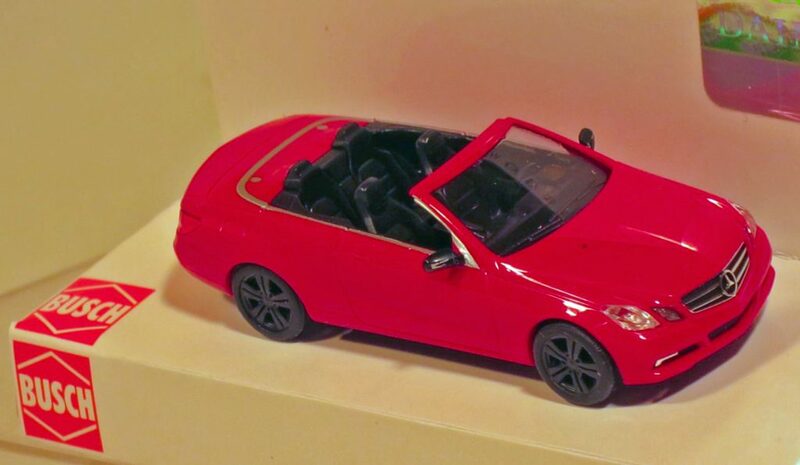 Please go to our Model Auto Review Facebook page, or email us at maronlineeditor at gmail.com. All text by, and copyright of, the Author. Photographs are supplied by the Manufacturer and the Author. Here we focus on the December 2018 releases from Busch. 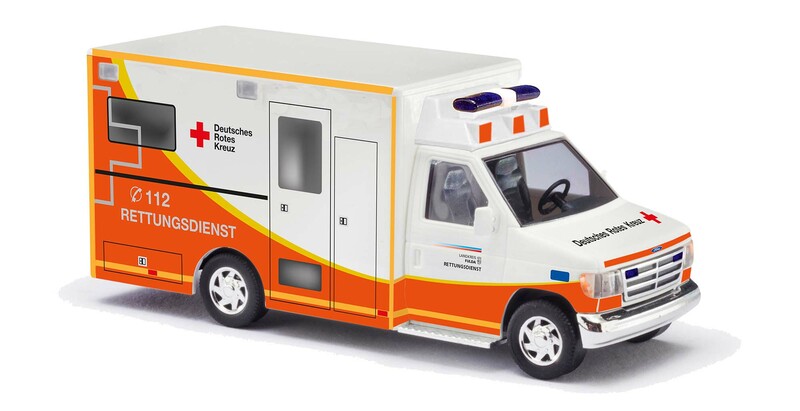 These are moulded in plastic to 1:87 scale unless otherwise stated. Busch publicity has become rather erratic. 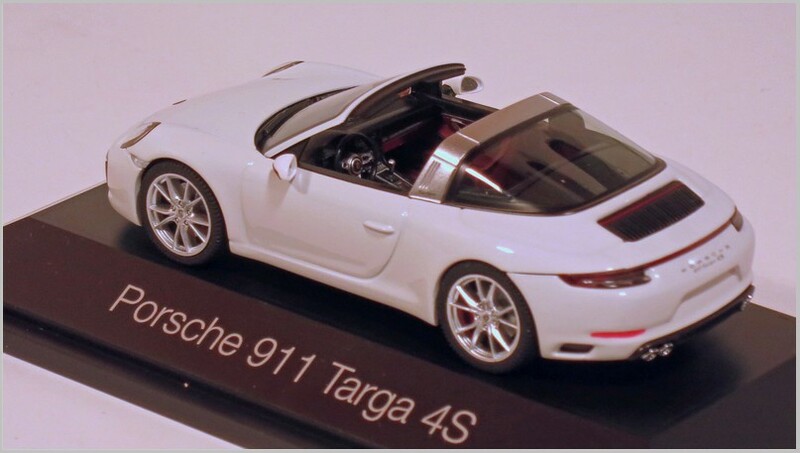 The photographs shown cover a few review models supplied by Busch as well as some publicity photographs on the web. It certainly makes your correspondents job harder chronicling the new releases! 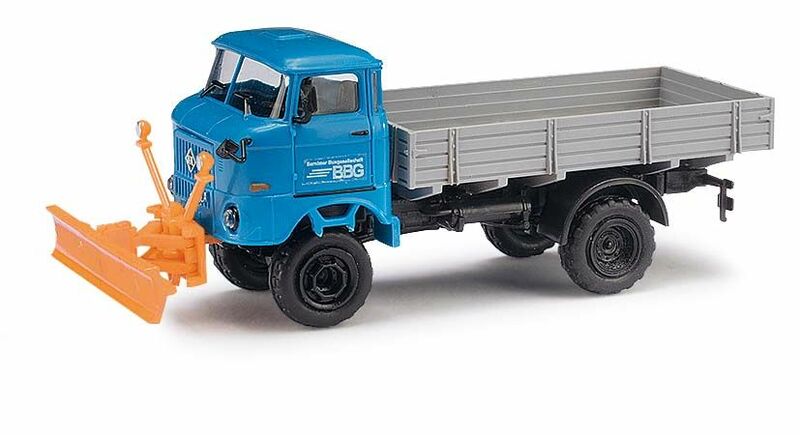 Here we look at the new releases announced for the Busch group companies which should have become available in November 2018. 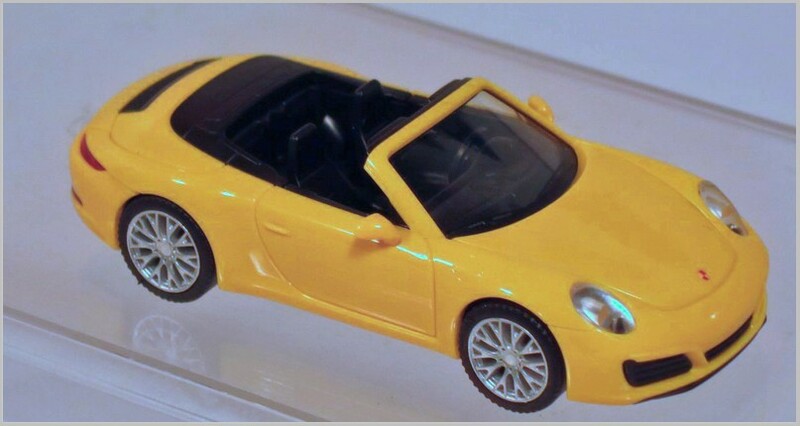 All are moulded i plastic to 1:87 scale unless otherwise stated. 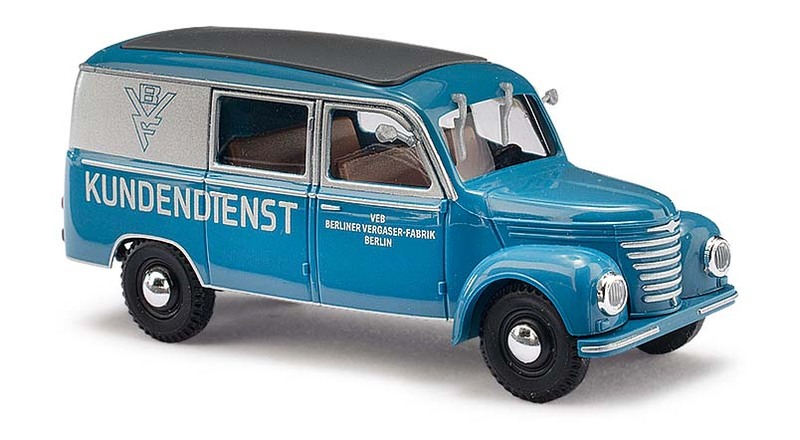 EsPeWe models are based upon vehicles produced in the former DDR. This is a new mould. 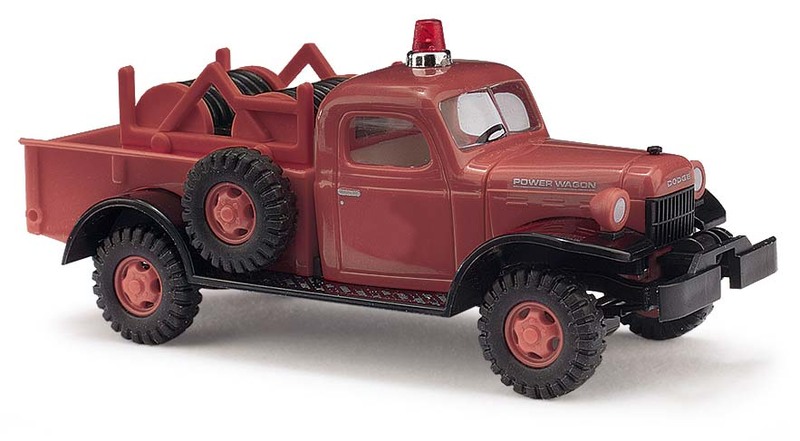 The S4000, seen here as a tank fire engine, was manufactured between 1959 and 1967. The crew cabin was made to seat 6 people. 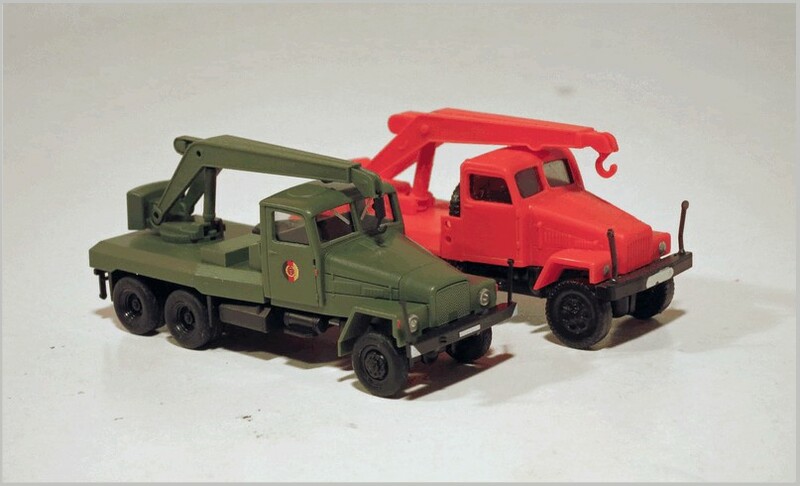 Here the new mould is used to create a mining accident rescue vehicle. Another new mould. 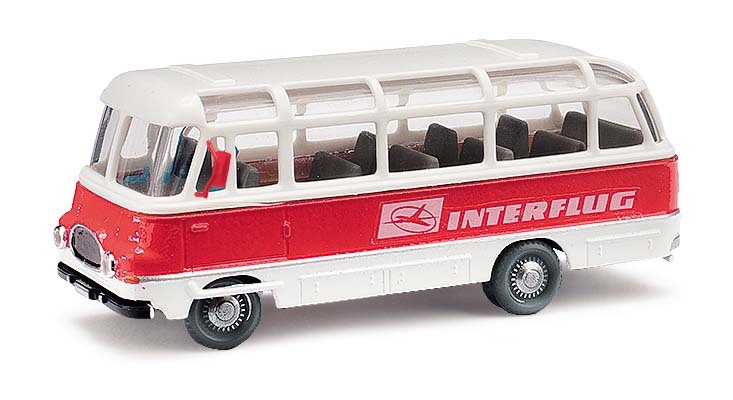 Here in the form of a bus that was manufactured between 1961 and 1964. All text by, and copyright of, the Author. 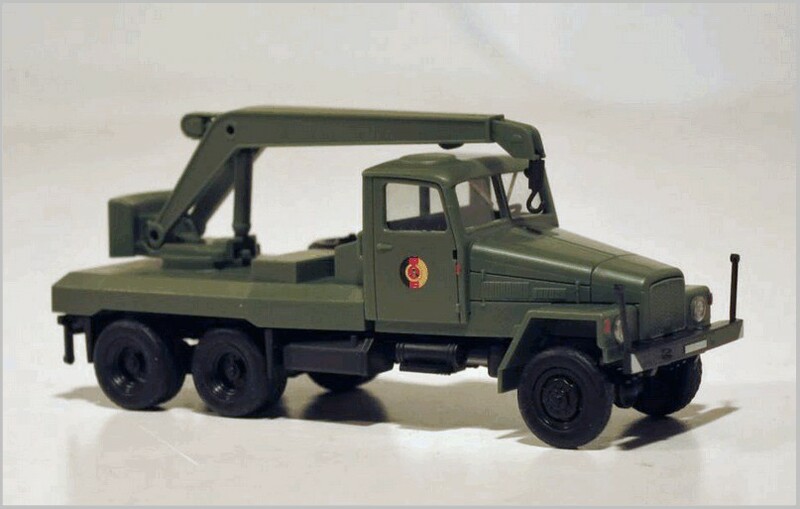 Photographs provided by the manufacturer. Here are the new releases from Busch for September. 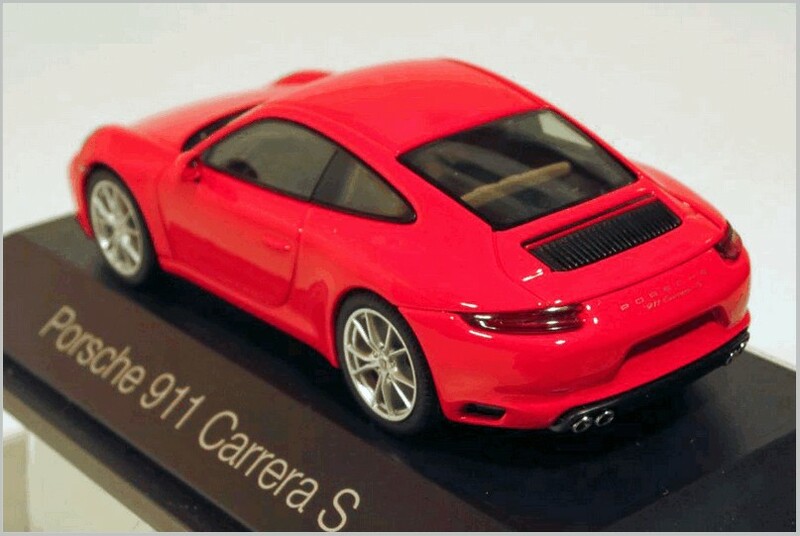 All are moulded in plastic to 1:87 scale. 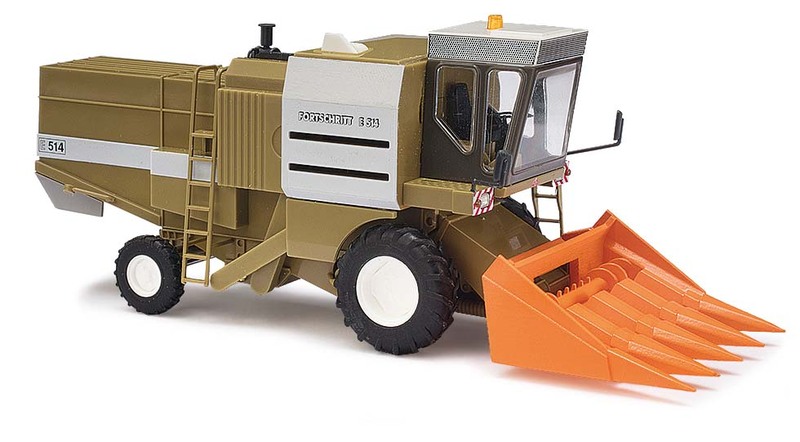 The successor of the type E512 was in a number of points improved self-driving harvesting machine for threshing cereals, oilfruits and pulses.Production started in 1982. 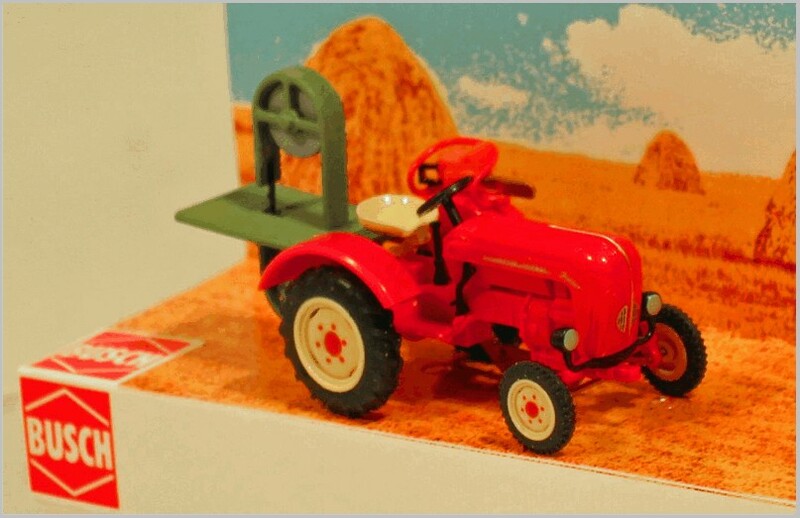 In the former DDR, the vehicle was also used for harvesting maize and sunflowers. The concept: Smart forTwo cars parked around the City which can be hired like the bicycle schemes in many cities. 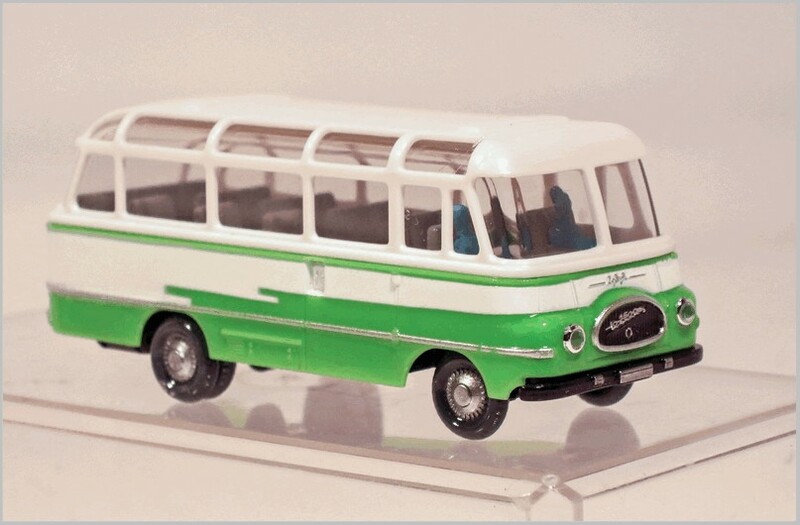 Eight differently coloured and liveried Barkas V901/2 half-bus or box van have been produced as a mini-series. 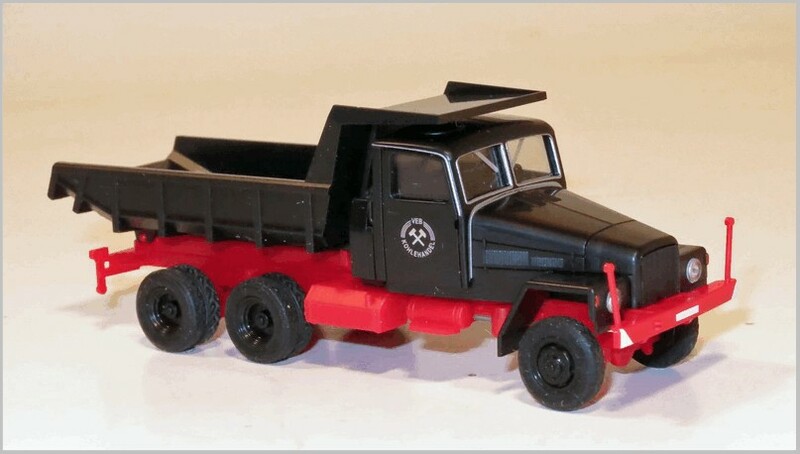 The 6×6 truck loaded with typical pre-manufactured concrete pieces for the reinforcement of the paths along the German/German border. 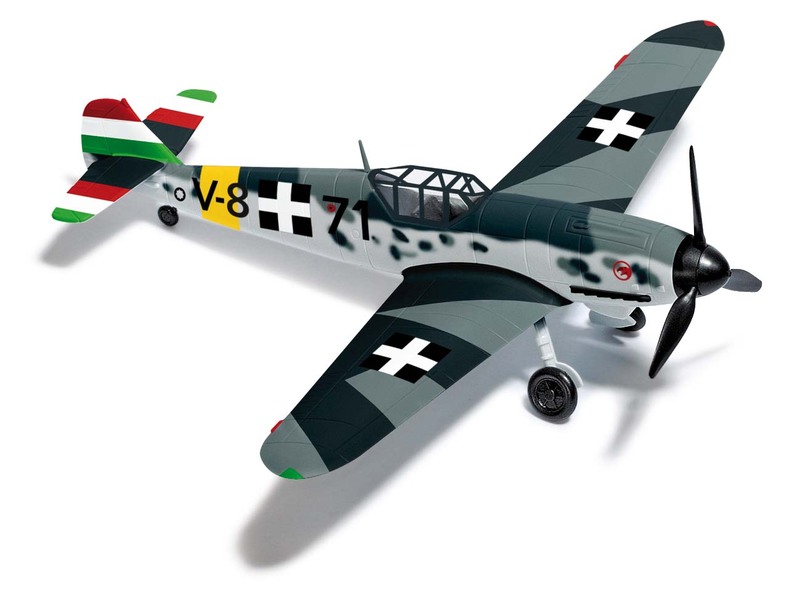 The Me 109 G6 aircraft from 1944 is painted in the colours of the 101st fighter group, also known as the Puma Group. The group was created under the command of wing commander Aladar Heppes for the Royal Hungarian Airforce. Approximately 760 aircraft fought with the Luftwaffe against the Red Army along the Eastern Front during the Second World War. All text and photographs by, and copyright of, the Author. 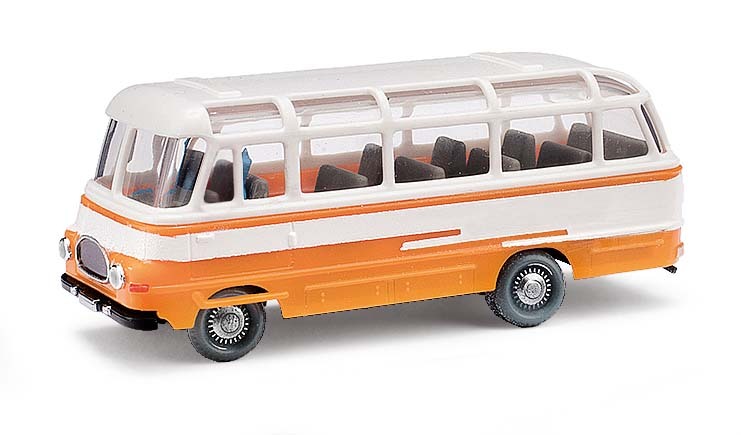 In this article I look in a little more detail at some previously released models and at some of the releases from the first quarter of 2018. 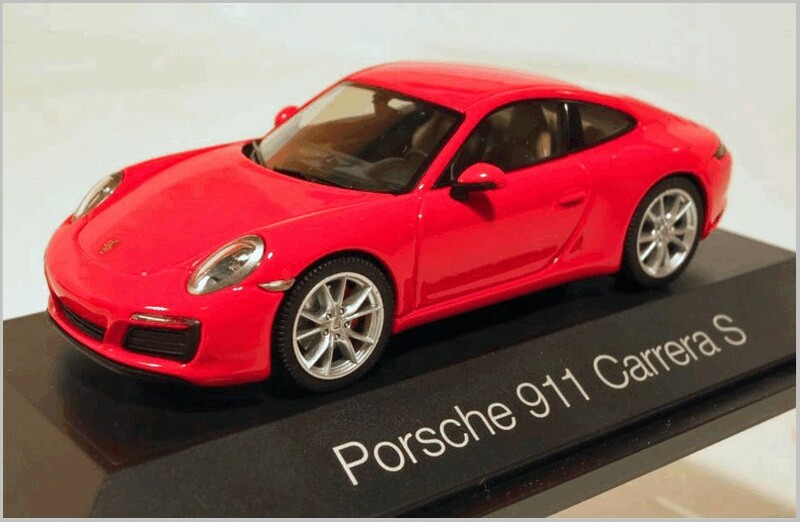 The new 911 in Coupe form. 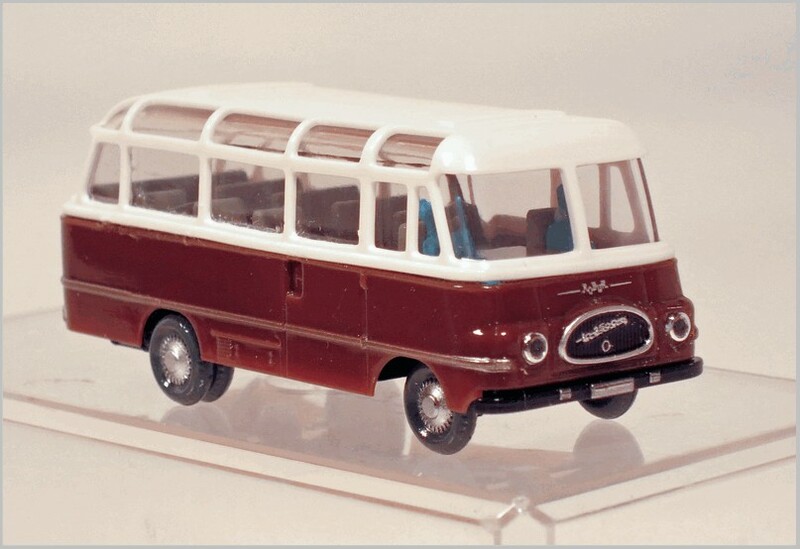 Herpa produced the first batch for Porsche, now it is available in model shops for “normal customers”. 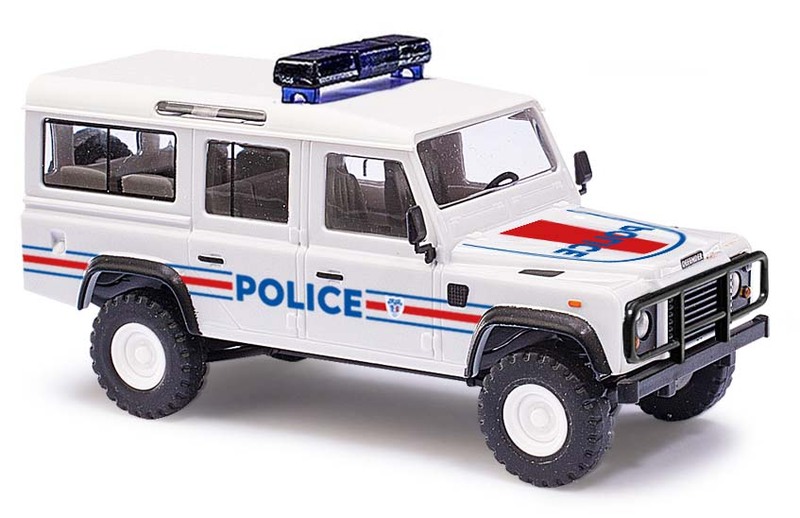 This model is diecast for Herpa. 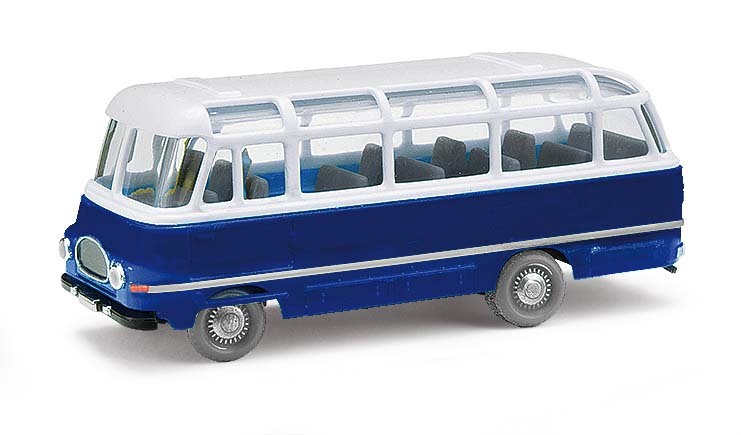 All these models are moulded in plastic by Herpa in Germany . 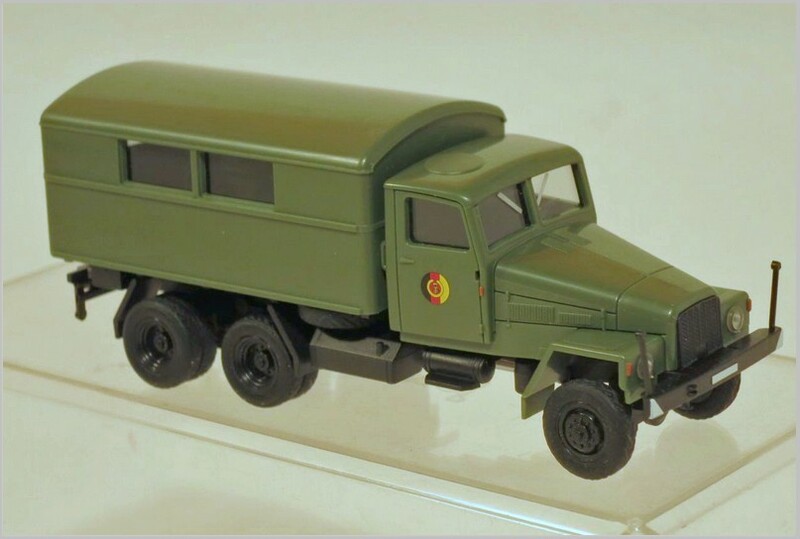 The W50/L60 trucks were the most common medium trucks in the former DDR and also used by the army as shown here. 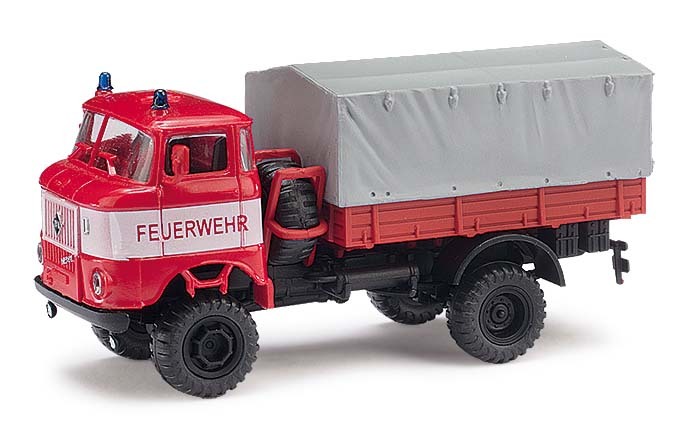 It was quite common in the DDR for ex-,military vehicles to end up being used in other public services. 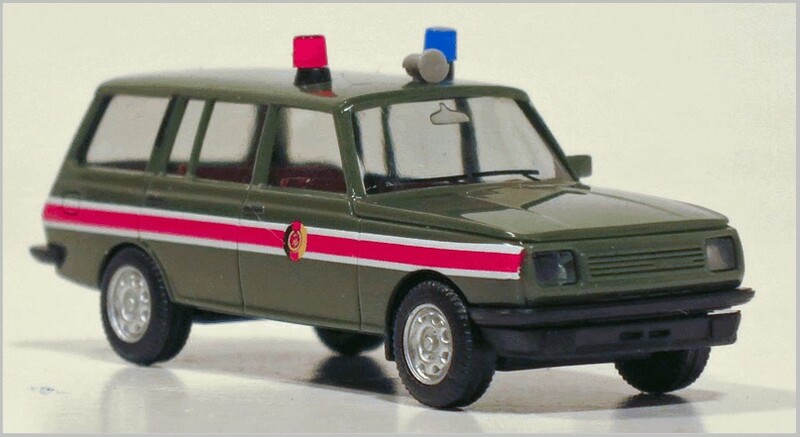 Here we have a Trabant which would have started life as a military vehicle, perhaps used by the Border Guards protecting the former DDR territory. 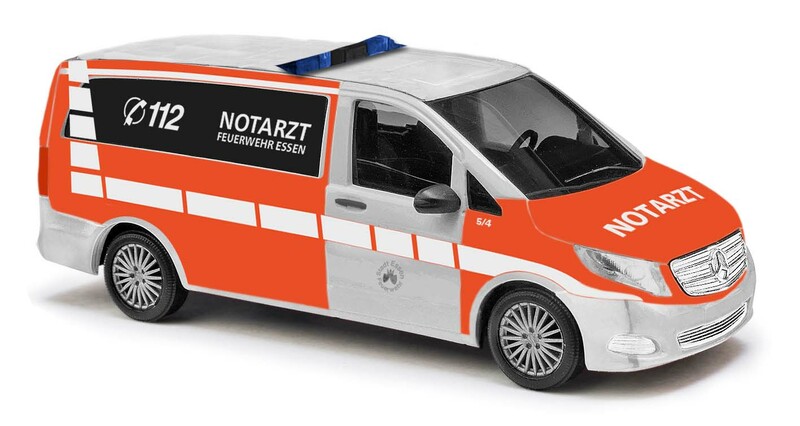 Here it is re-liveried as a Feuerwehr car perhaps used for those incidents which didn’t need a fire appliance. 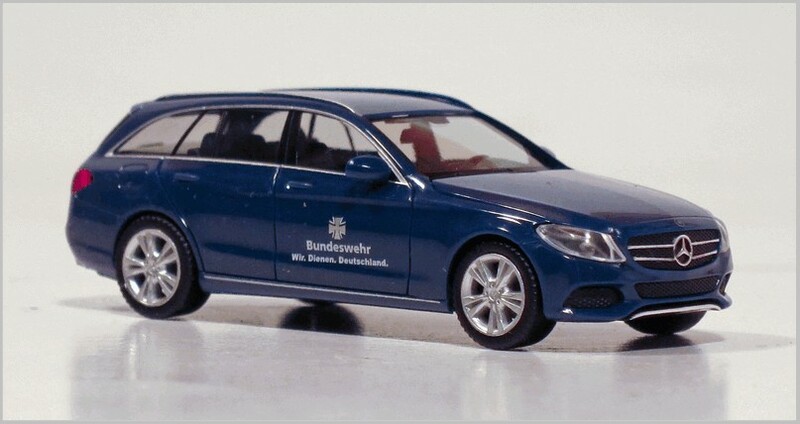 Most vehicles of the Bundeswehr are now leased, so they are no longer in “NATO olive”, but are painted in standard consumer colours to make them easier to sell at the end of the lease. 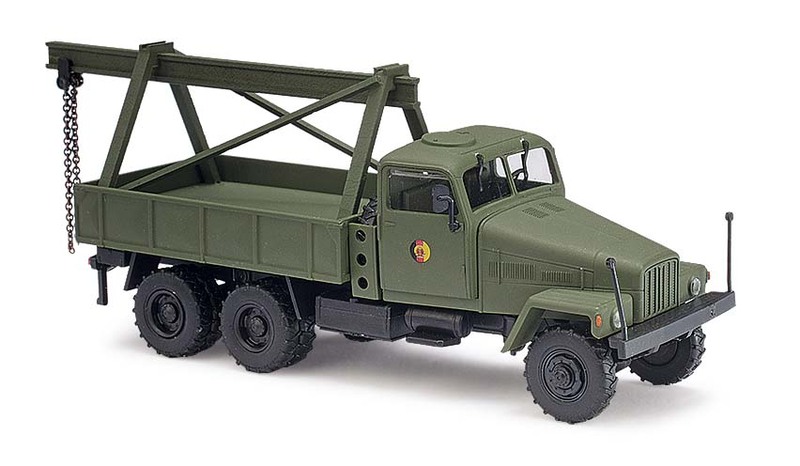 The IFA crane truck was used by the Army and Public services in the Communist DDR. 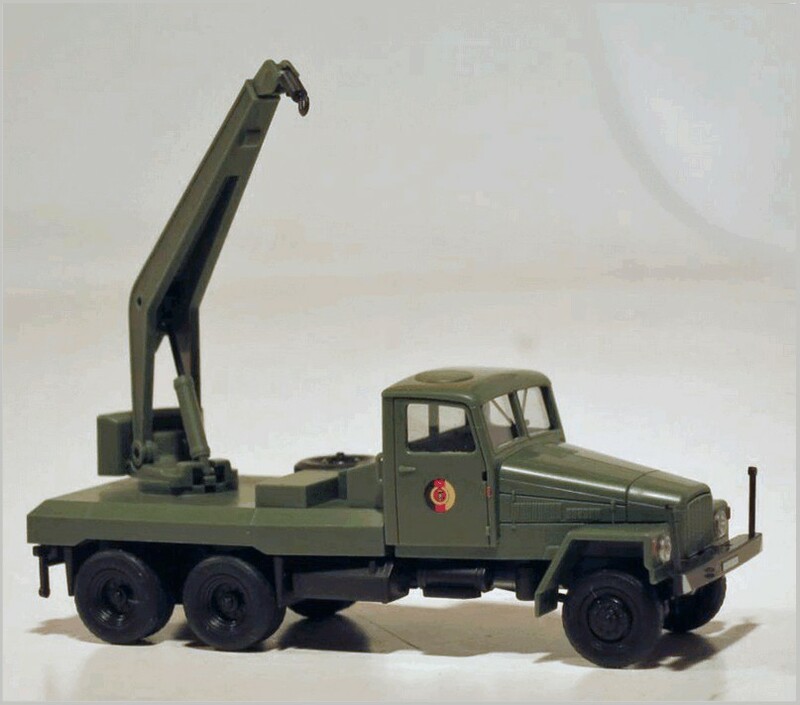 The crane is full movable. 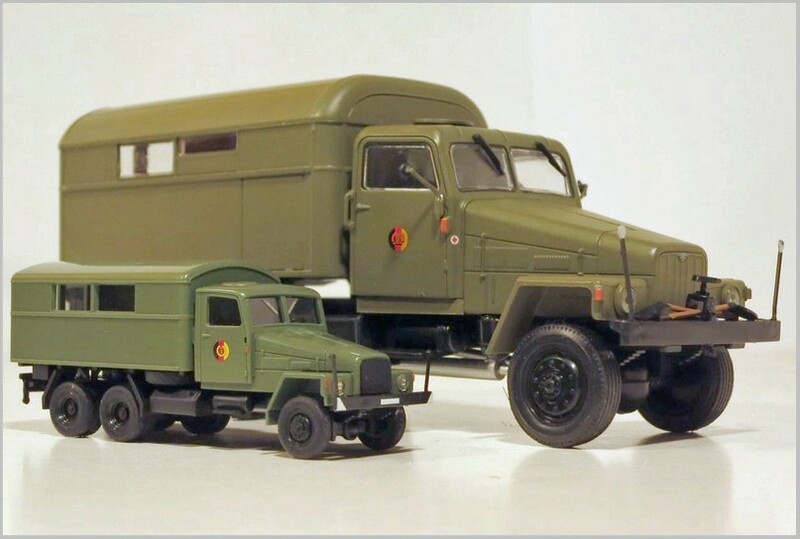 Here is the military version next to an earlier model of the civil orange version made in the DDR which is not often seen. Text and photographs by, and copyright of, the Author. 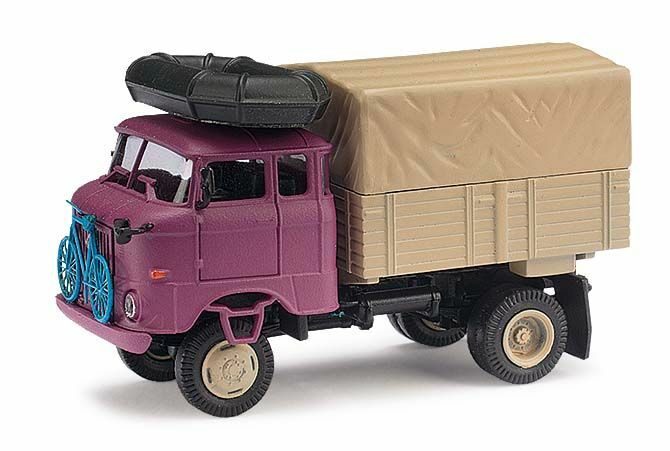 Here I look at a special selection of models made by Herpa from the second half of 2017 and the first quarter of 2018. 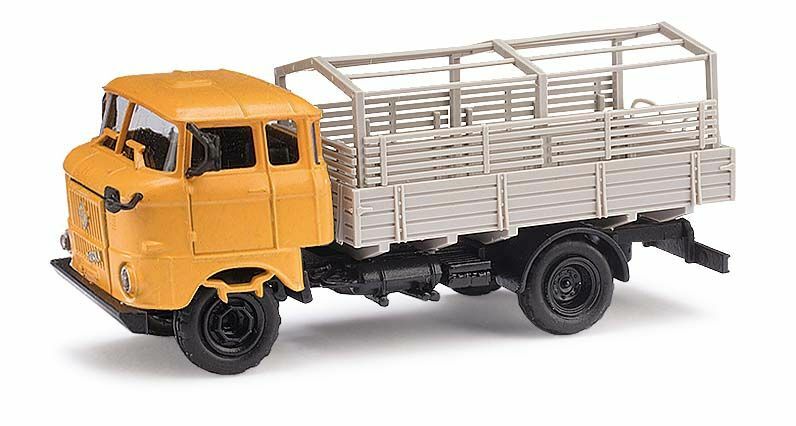 The models in 1:43 scale are diecast metal and the 1:87 models are moulded in plastic. 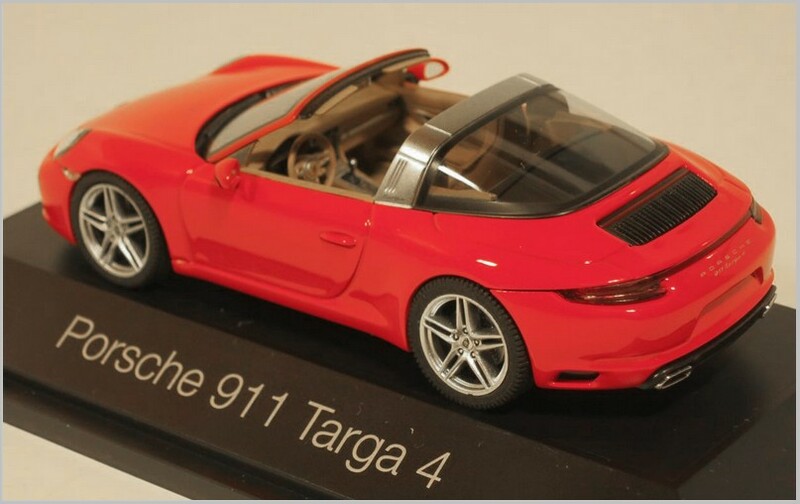 The new 911 is also available in a Targa version. 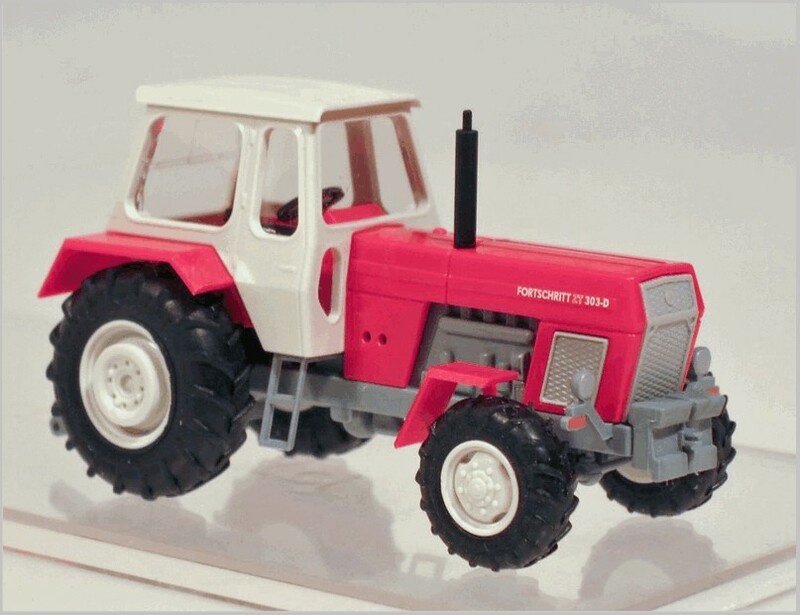 This has four wheel drive as standard. 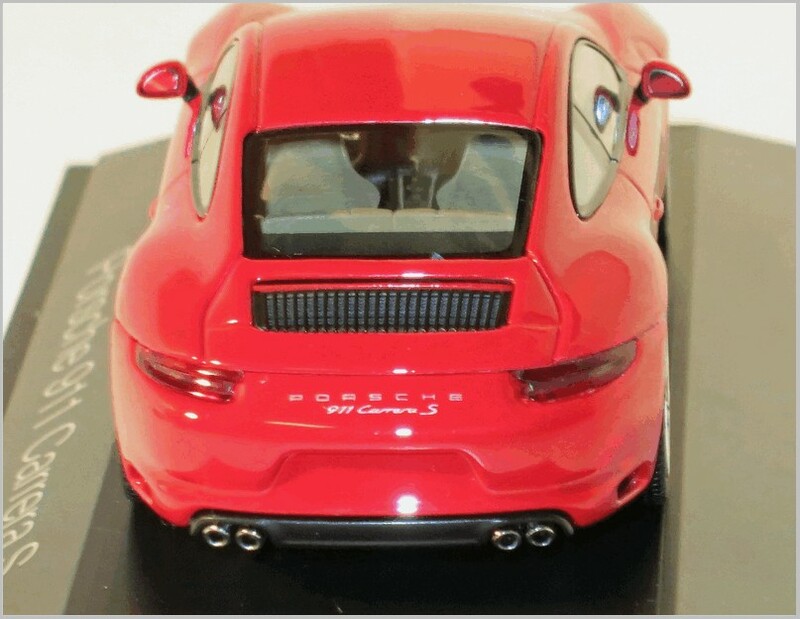 The 4 engine develops 370 hp, but the 4S has 420 hp and can raech 100 km/h in 4.2 seconds from a standing start. 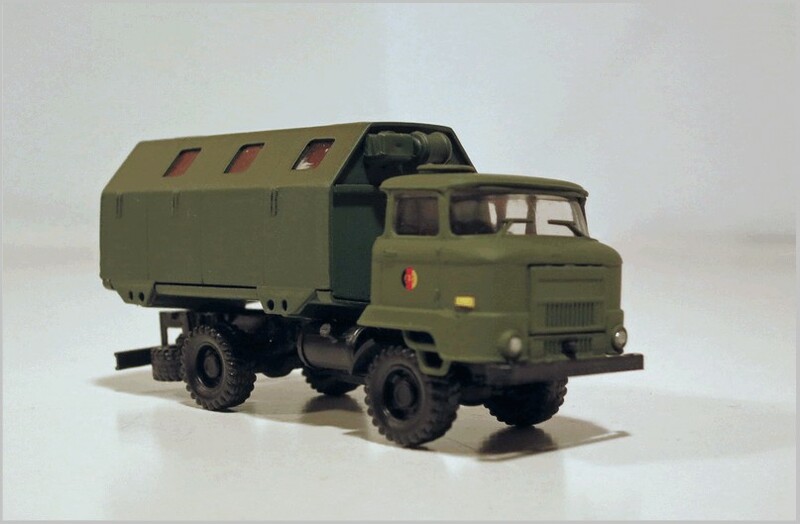 The different exhaust systems on the 4 and 4S are correctly replicated by Herpa on these models. 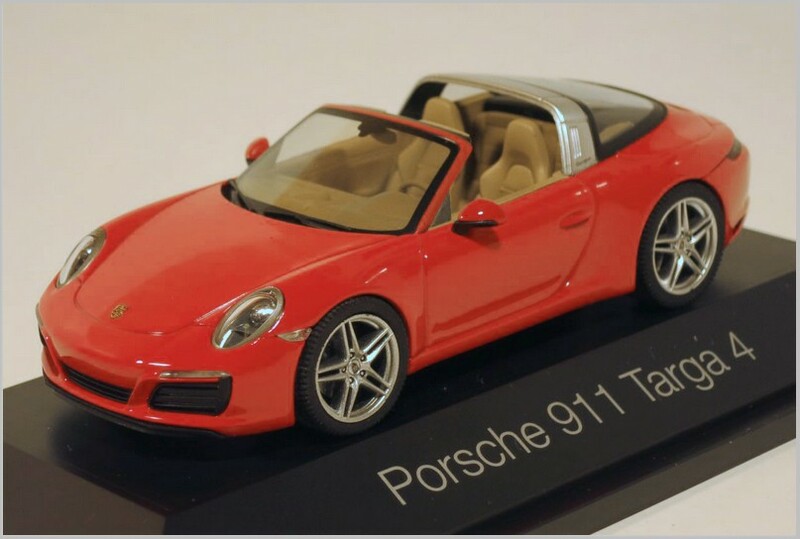 The first batch were made for Porsche but now the models are available from model dealers for “normal customers”. 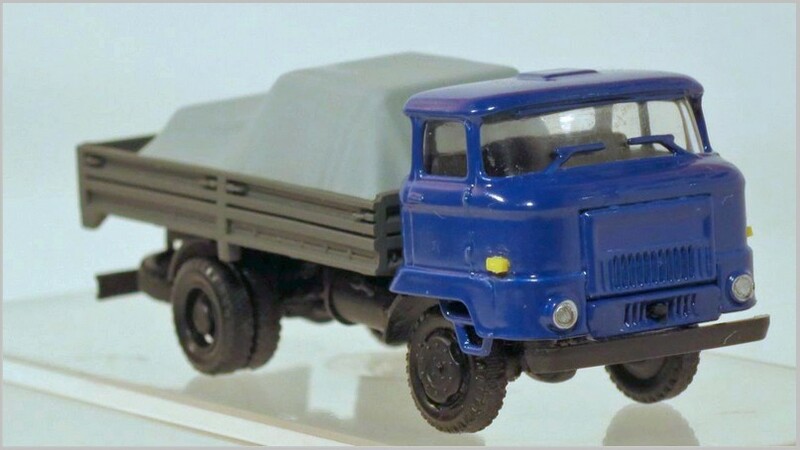 The W50/L60 were the most common medium trucks in the former DDR. 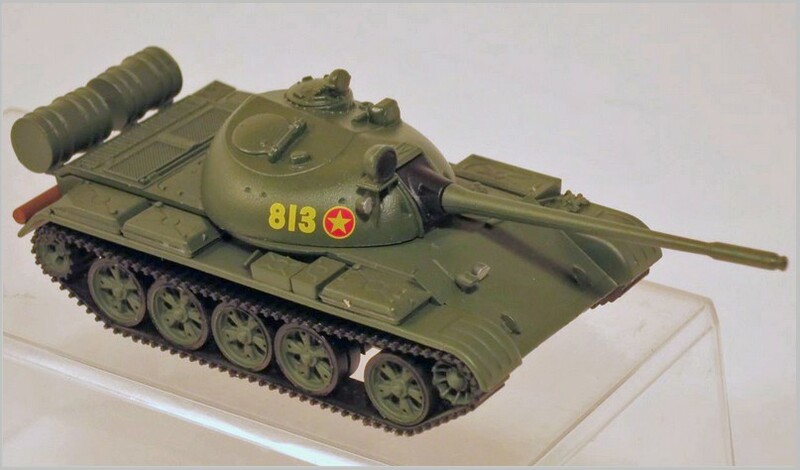 One result of the arms agreement between the Soviet Union and the Peoples Republic of North Vietnam was the supply of Russian T-55 tanks for use fighting the American army. 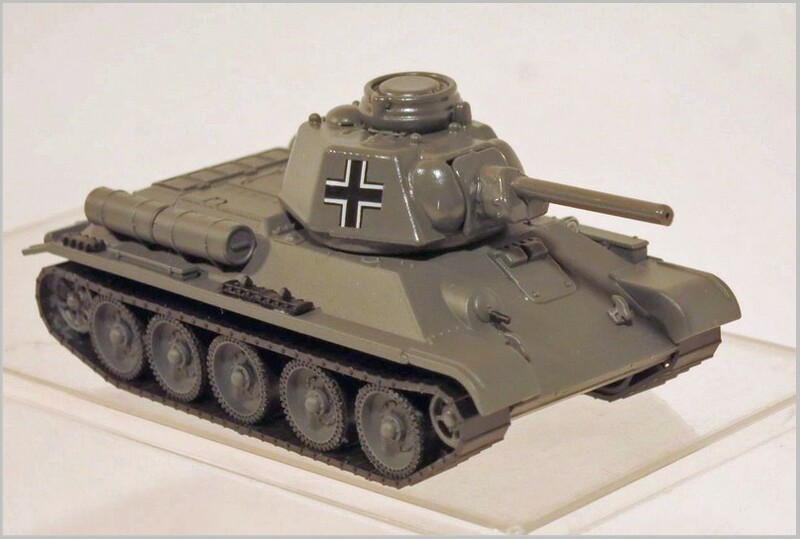 A number of captured T-34 tanks of the Soviet army were converted for use by the German Wehrmacht. 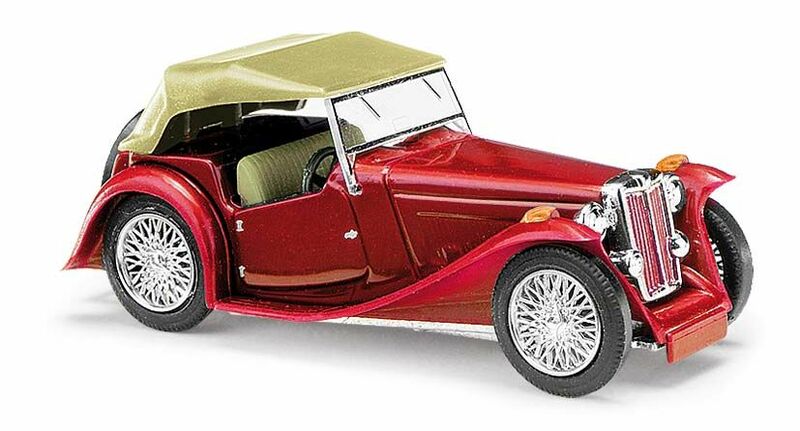 Here the original was fitted with a German commander dome with cannon and correctly repainted in the blue-grey of the German Wehrmacht. At the end of the war each captured tank was used as it was as the German Army was so short of materials. 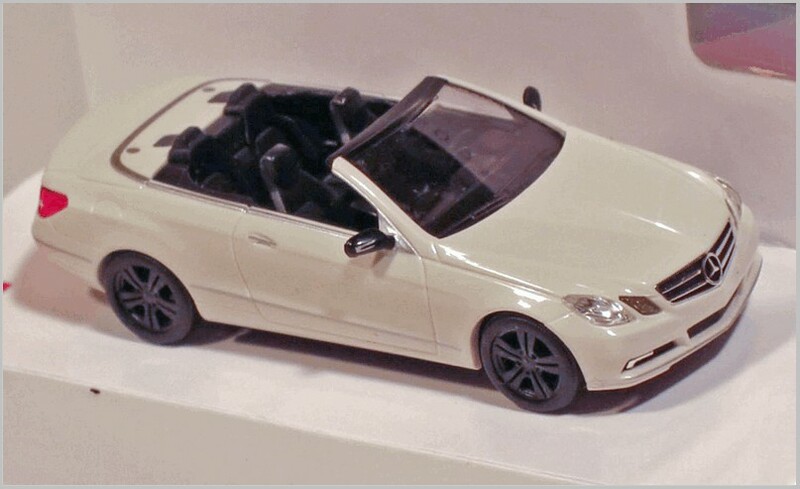 Visually the 4S cabriolet differs from the standard model. 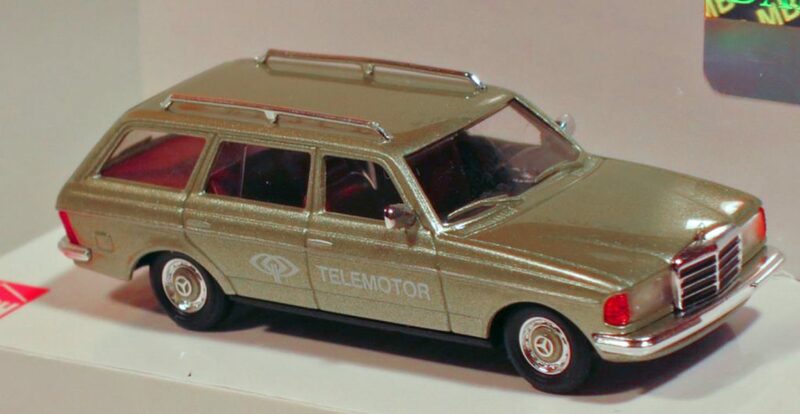 With four exhaust pipes rather than two. This is authentically replicated here. 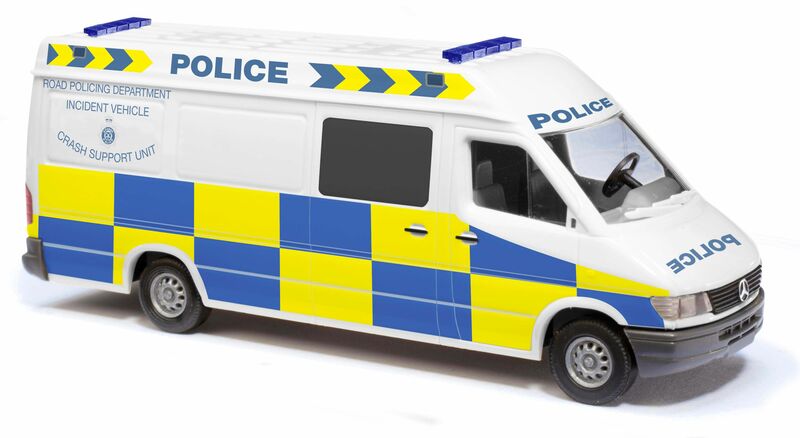 No chance for speeding motorists. 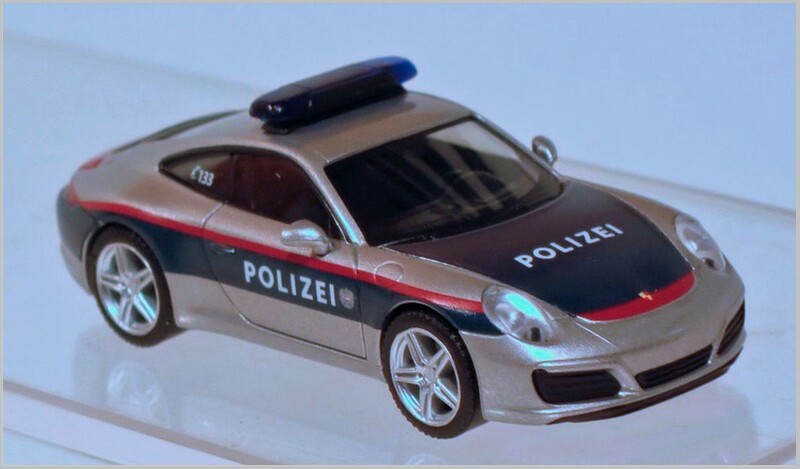 From June 2017 the Austrian Federal Country of Kärnten operates this Porsche 911 for catching those breaking the speed limits on their motorways. 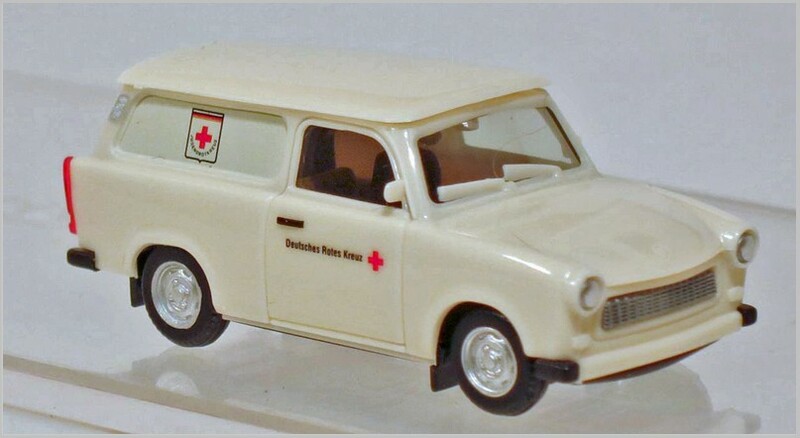 The German Red Cross in Löbau still operates a Trabant estate. 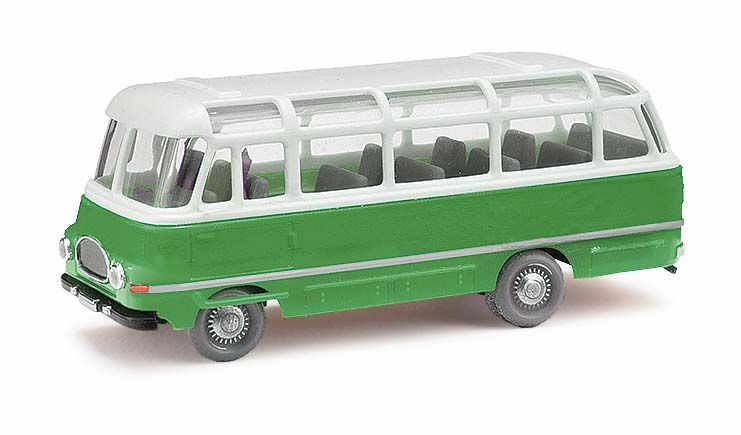 The rear side windows are painted in body colour, this feature is replicated in the miniature. 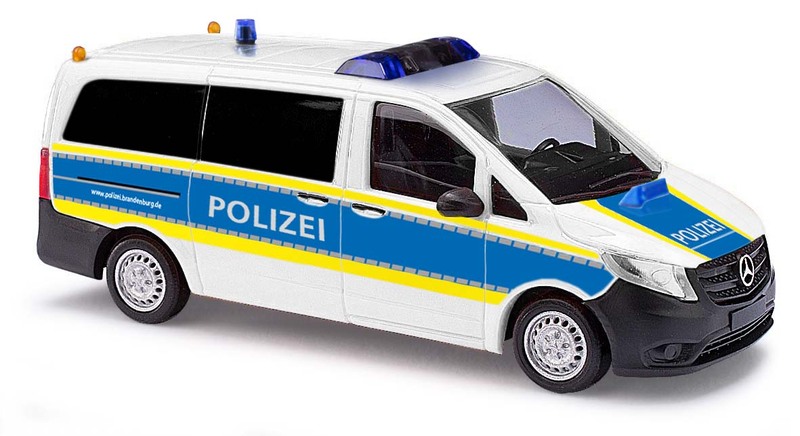 The haulier Schreglmann from Oberviechtach in Bavaria has a weakness for extraordinarily decorated vehicles. 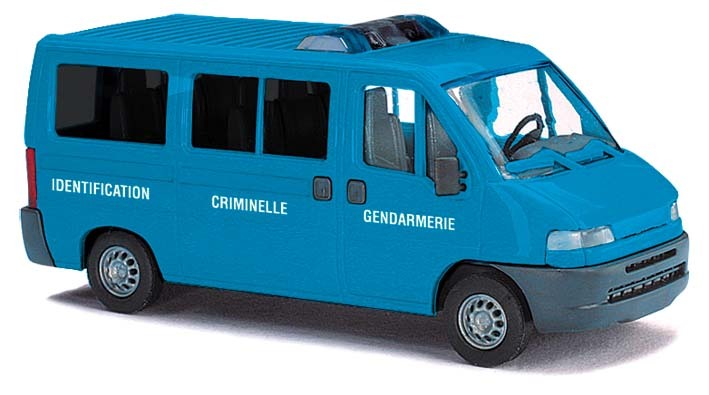 This truck is on tour with airbrushed adverts for the concrete block manufacturer Godelmann. 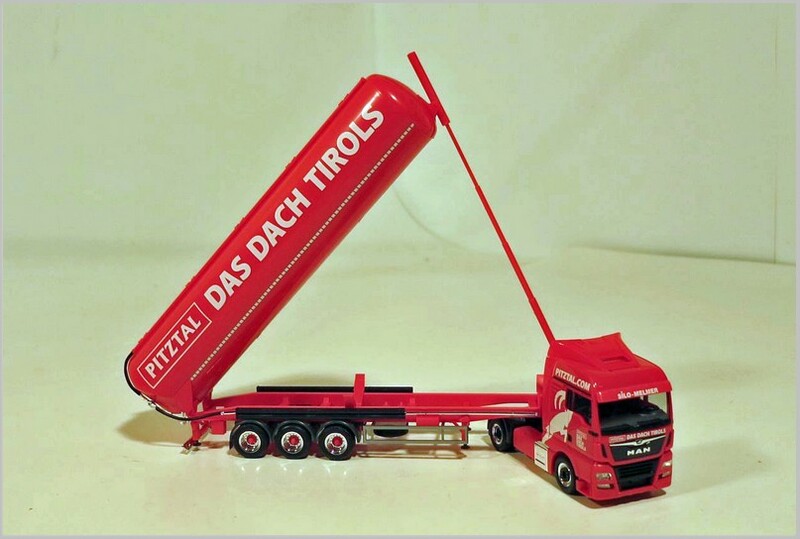 “Pitztal, the roof of the Tyrol” is the slogan on this bright red painted truck of the haulier Silo Melmer. 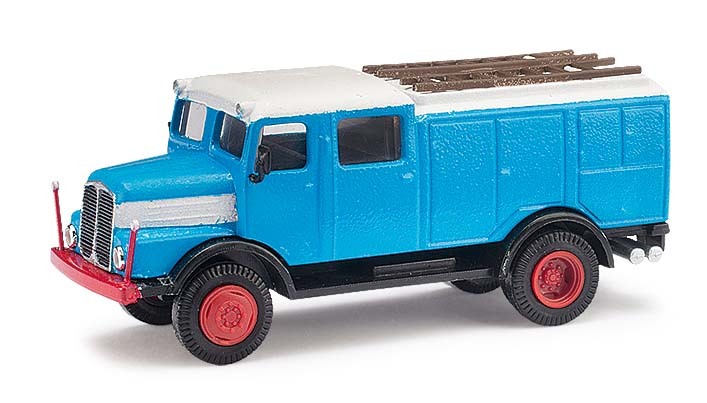 This one-off limited edition model is part of Herpa´s Silo Melmer model series. 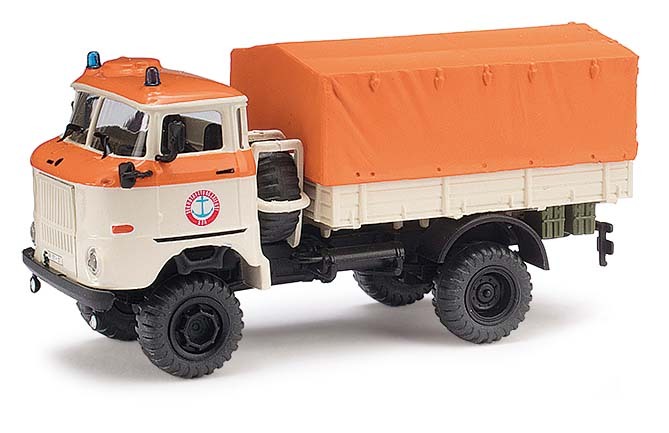 The IFA G5 truck was released in March 2018 with a new body. 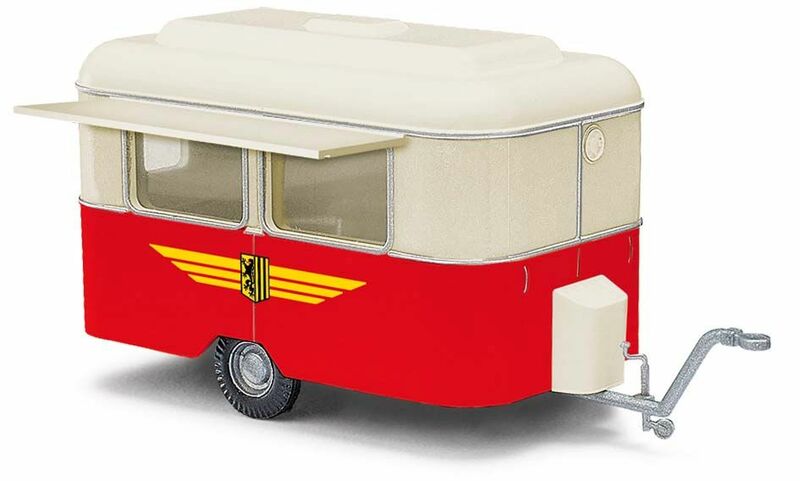 This time it is appears as a mobile workshop of the NVA (People’s Army of the DDR). 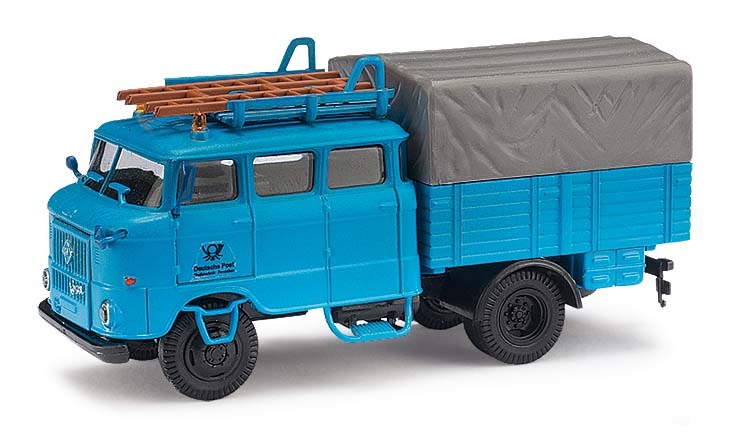 The photograph below shows this new Herpa alongside the 1:43 scale model released by Atlas some years ago. It shows the difference in sizes between the two scales very well.